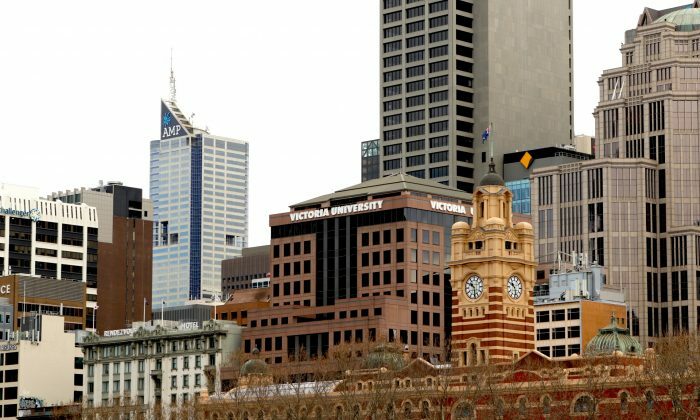 Controversy surrounding Victoria University’s cancellation of a fully-paid event booking has pushed the issue of Chinese Communist Party (CCP) influence in the Australian education system back into the spotlight. The university claimed they had to cancel a Sept. 21 event for the screening of a documentary exposé on China’s Confucius Institutes because they accidentally “double booked” the lecture theatre and that all other theatres had been fully booked—a claim that has since been disproven. Victoria University (VU) plays host to one of these CCP-funded Confucius Institutes (CIs). Following media reports, VU changed its reason for the cancellation, labelling the event “a marketing stunt” because the screening of the award-winning documentary In the Name of Confucius was to be shown in the same building as the university’s own CI. Event organiser, Leigh Smith, told The Australian, “I knew Victoria University had a Confucius Institute, but I didn’t know it was in that building … this is the first time I’ve ever heard they thought it was a stunt.” VU did not reply to a request for comment. On Oct. 5, VU’s Vice-Chancellor and President Peter Dawkins brought up the cancellation during the Vice-Chancellors panel at the Grand Hyatt in response to a question from one of approximately 300 attendees concerning free speech at universities. “I had a recent, unfortunate incident at Victoria University where there was an event, where an organization that’s critical of the Chinese regime, and critical of Confucius Institutes, sought to book a facility close to our Confucius Institute, and our bookings people decided not to take the booking because it was seen as a bit of a stunt, and a provocative stunt, adjacent to our Confucius Institute,” Dawkins said. An Epoch Times reporter at the panel requested an interview with Dawkins to hear his view on the matter, but was declined. Paul Monk, the former head of China analysis for the Australian Department of Defense, was to be a panelist at the Sept. 21 documentary screening. “Clearly this was no stunt,” he told The Epoch Times, referring to VU’s claims about the intentions of the event organisers. Monk explained that the booking had not been cancelled by the director of facilities on the basis that the event was a stunt. Rather, “it was alleged that all lecture theatres were booked and that claim was demonstrably false,” Monk said, referring to an earlier report showing that the theatres had been completely empty on the night. American non-profit The National Association of Scholars (NAS) published a report in 2017 that details the lesser-known facets of the CIs that may explain why VU abruptly cancelled the documentary screening. “Every Confucius Institute contract we obtained also included language warning that any university action that ‘severely harms the image and reputation of the Confucius Institute’ can result in the termination of the university’s contract and all funding,” reads an excerpt from the NAS report. The screening of In the Name of Confucius may have been in breach of VU’s contract with Hanban, the CCP-funded body that manages CIs worldwide. Host universities receive funding that includes start-up funds, significant annual payments of around $100,000, and payments for staff, textbooks, and materials. For example, Hanban offered Stanford University $4 million to host a CI in 2011. Moreover, hosting a CI likely includes the incentive of more full-tuition paying international students from China, which the Chinese government can turn on or off like a tap. The NAS report added that CIs worldwide are required to adhere to the laws of Communist China. According to The Confucius Institute Constitution, Hanban’s Beijing headquarters can pursue legal action should a foreign university engage in any activity that embarrasses or undermines the CI system of governance. Speech codes in CIs have been a cause of concern. Xiuli Yin, Chinese Director of the Confucius Institute at New Jersey City University, is quoted in the NAS report as saying: “We avoid sensitive things like Taiwan and Falun Gong—we don’t touch it.” Other taboos in CI would likely include Tibet and the Dalai Lama, the mass detention of Uyghurs and crimes of forced organ harvesting. Although an Australian student cannot be thrown into jail in Australia for speaking on a topic considered politically sensitive to the CCP, a teacher sent from China to work in an overseas CI could face “punitive consequences,” as per CI by-laws, for stepping out of line. They could even be jailed when they return to China. Still, CI teachers are strictly vetted in China to ensure that they toe the CCP partyline when overseas. Sonia Zhao, an ex-CI teacher turned defector, revealed herself as a Falun Gong practitioner when she filed a complaint to the Human Rights Tribunal of Ontario regarding Hanban’s discriminatory hiring practices. Her contract stipulated that CI teachers cannot practise or associate with Falun Gong. VU’s cancellation of In the Name of Confucius is reminiscent of Sydney University’s decision to disallow an event to host the Dalai Lama on campus in 2013. The only difference was that instead of cancelling the booking, Sydney University shifted the event off-campus, which is perhaps what Dawkins suggested VU could have done for the documentary screening. Shifting the pro-Tibetan event off campus was, according to Sydney University’s Vice-Chancellor Michael Spence, “in the best interests of researchers across the university,” the Guardian reported at the time. The university, which hosts a CI, had “warned organisers” not to use Tibetan logos on campus. It also said media coverage and Tibet activists would not be allowed entry. The CCP’s worldwide network of CIs, which are billed as cultural and language centers but referred to as “propaganda arms” by critics like U.S. Senator Ted Cruz, are a self-professed weapon in China’s soft power campaign. Li Changchun, a former CCP Politburo member, says that CI’s are “an important part of China’s overseas propaganda set-up,” reported The Economist. Looking forward to speaking at Harvard tomorrow at a screening of "In the Name of Confucius" https://t.co/OykZg8ZYeu on the Chinese regime's use of Confucius Institutes. The CIs are a tool of academic subversion, and are part of the CCP's many systems of espionage. This was evidenced in 2008 when an Israeli university with a CI shut down a student art display, which included paintings depicting the persecution of Falun Gong. After students sued the Tel Aviv university, a District Court judge ruled in the students’ favor, concluding that the university had “violated freedom of expression” under pressure from a dean who feared harming the university’s Confucius Institute,” NAS reported. Dr. Kevin Carrico, a lecturer of Chinese Studies at Macquarie University in Sydney told The Epoch Times: “All those who claim to ‘see no evidence’ of PRC party-state interference need to look no further than the embarrassing cancellation of this film. “Considering that the space was shown to have not actually been used for any other events, there is no innocent explanation for this. Carrico was a panelist at the documentary’s Parliament of Victoria screening on July 24. Independent MP for the Western Metropolitan Region, Victoria, Dr. Rachel Carling-Jenkins, who hosted the Parliament of Victoria screening, shared a similar view: “Universities in the past were a beacon of freedom of thought and debate, a place where ideologies could be challenged, embraced or discarded. “In cancelling this event, Victoria University has fundamentally shut down free speech and any criticism of the Confucius Institute. Shutting down CIs is necessary for “protecting the integrity of American education and intellectual freedom,” the NAS report concluded. At least 17 universities in North America and Europe have cut ties with Hanban, and remaining CIs continue to be called into question. U.S. Senator Marco Rubio, chairman of the Congressional-Executive Commission on China, has urged all educational institutions in his state of Florida to terminate their agreements with Hanban. Fourteen Australian universities and 67 Australian schools continue to host CIs. Senator Cory Bernadi of the Australian Conservatives Party had moved to pass a motion to review CIs in Australia in August, citing FBI security warnings in the United States. However, the motion did not receive enough support. “In Australia, nobody has backed away from the Confucius Institute,” David Matas, an international human rights lawyer and a 2010 Nobel Peace Prize nominee, said as a panelist at the documentary’s Sept. 21 screening at Scots’ Church. In the Name of Confucius is set to re-screen at Scots’ Church Assembly Hall at 7 p.m. on Oct. 24 due to popular demand.